In comparison with the existing model C18DBAL. The value varies according to the workpiece material and operating conditions. The runtimes are for reference purposes. They may vary according to the workpiece material and operating conditions. 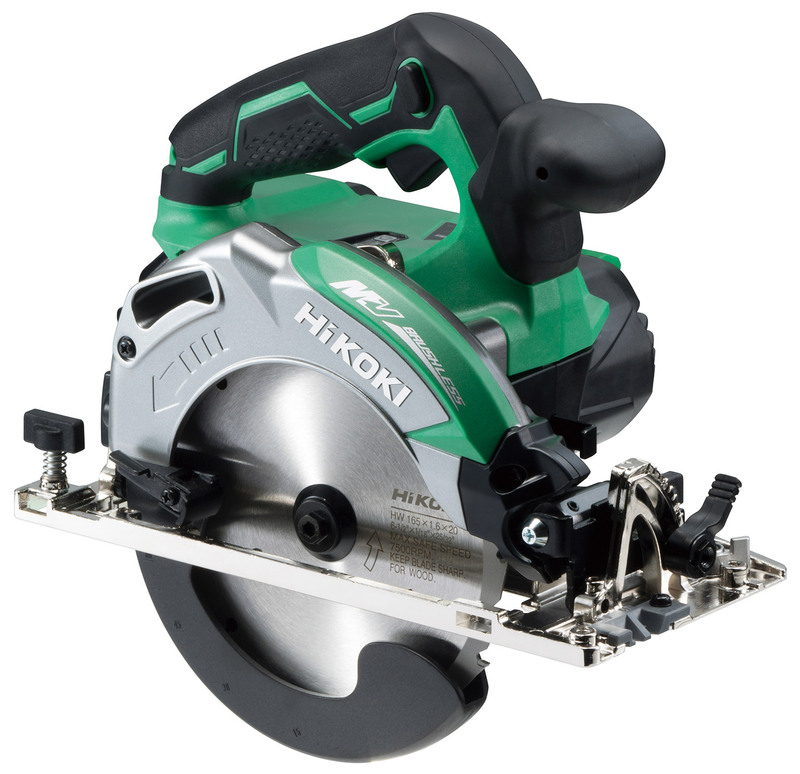 The flat motor housing design with soft material on the surface provides the circular saw with stability when it's laid on its side. This makes blade change easier and also prevents the workpiece from being scratched. Silent Mode Ideal for applications in noise-sensitive areas, such as renovation and interior work. The Silent Mode improves motor efficiency, while lowering the noise. 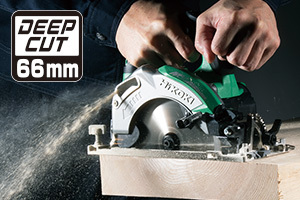 The operation mode automatically switches to the Power Mode when the motor load increases, enabling smooth cutting according to cutting conditions. 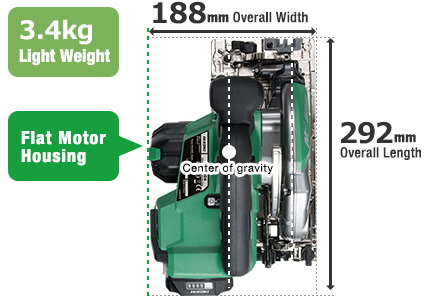 Monitors changes in the motor’s rotation speed and stops the motor the instant it detects a sudden drop in speed due to the saw blade becoming bound, etc. Depending on operating conditions, Overload Protection may not work or may not provide the specified performance. Make sure that the work piece is placed and supported properly, and that the main unit is held firmly during cutting. Additionally, carefully read "CORDLESS CIRCULAR SAW SAFETY WARNINGS" in the instruction manual. Weight according to EPTA-Procedure 01/2003. Vary by country or area.